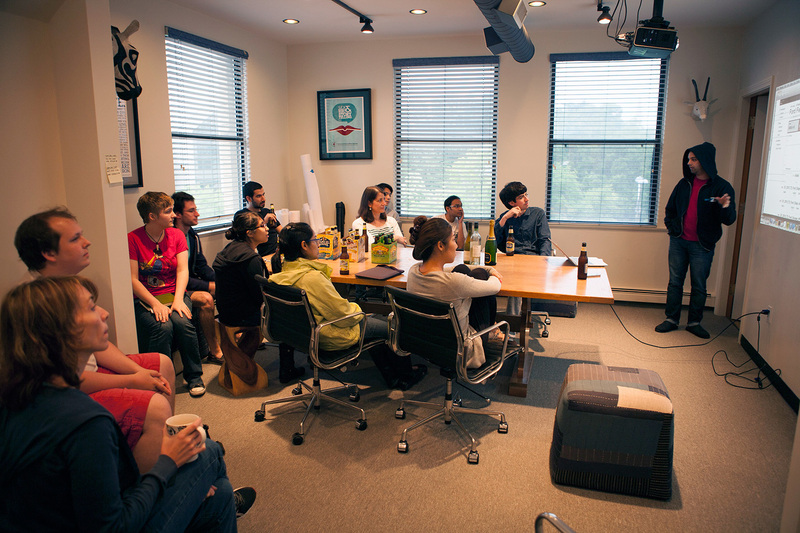 For 10 years now, I’ve been focused on building and nurturing effective design teams. And while everyone has their own definition of success for a design team, in my experience, some elements must be in place for the team to truly be effective. With that in mind, here’s how I set up design teams, the tools we use, and the essential processes that ensure success. 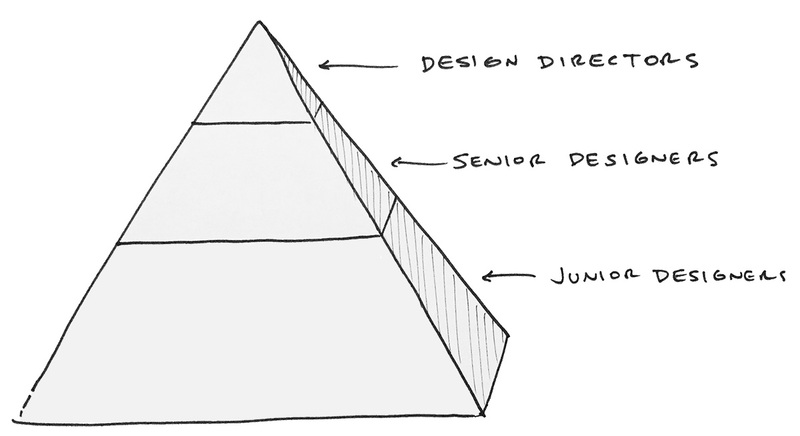 The agency model is pyramidal, with a few directors at the top, a larger group of senior designers leading teams in the middle, and junior designers forming the foundation. Here’s how I see each role, its responsibilities, and its criteria for success. An effective director asks, “Why?” Not to put designers on the defensive, but to encourage them to clearly and effectively articulate their ideas and rationale. It’s a powerful question, because it forces designers to view their solutions from different perspectives and truly understand the user stories that underpin a successful design. Plus, it helps grow more senior designers. The best directors never take credit for the final design. Instead, they’re facilitators. They succeed when they push designers to craft more meaningful stories—both directly, through individual feedback, and indirectly, through building the right team culture. 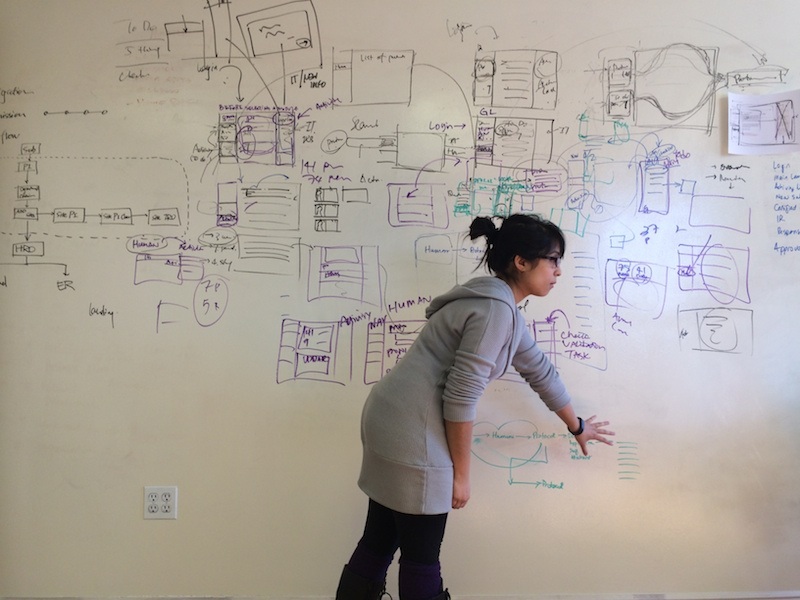 Designers become senior when they understand why their designs work. They’ve developed a deep understanding of how to design experiences that matter—and how to help other designers do it too. Senior designers should also be skilled in explaining and defending their work. Their positions are founded in facts, not opinions. They fight for the right solution, not the trending one. To repeat, the distinction between junior and senior is not a question of talent. It’s all about the ability to sell a design. Once a designer can form a defensible point of view, present with conviction, and not fold under pressure, they’re well on their way to becoming senior. Improved productivity: Timelines are priceless. Without them, even the best and most productive designers can let work slide. Knowing you need to show up with a solution keeps you on the ball. More solidarity: Getting your team together to talk is critical. When you see what your teammates are working on—and get to weigh in on it—it builds a sense of community, of being part of something bigger than you. Stronger communication skills: Remember all that stuff I said about learning to sell your solutions being a big part of growing as a designer? Presenting, getting feedback, and giving feedback can all help grow your communication skills—and your design skills. Better work: Once your team gets into the cadence of regularly scheduled reviews, you’ll see the quality of work improve. Presenting your work forces you to step back from the problem and use a different part of your brain. Plus, it’ll be easier to spot deviations from existing patterns—not to mention superior solutions you can use in your own work. Put simply, nobody grows without feedback. Now, knowing the impact and necessity of design reviews, there are a few practical things to keep in mind. Do not skip the review: When the production schedule’s full and everyone’s cranking, it’s tempting to blow by a scheduled design review. Don’t do it! Sometimes, you’ll have no choice, but don’t make a habit of canceling. Your team needs to feel the gentle push of a looming deadline. Contrary to popular belief, deadlines are a designer’s best friend. Everyone gets a turn: Every team is blessed with a chatty designer. They always have something to say about every design and take up most of the review time. Moderate this. The team needs to hear from everyone, and the shy designers need a turn to practice presenting, questioning, and defending work. Cover all the things: Design reviews have a bad habit of running to overtime. When starting the review, set the presentation order and give each person a set amount of time. When their time is up, move on. Here’s my rule of thumb: if it takes more than 15–20 minutes to review a design, it either isn’t working or it’s big enough to warrant its own meeting. You may be picking up on a theme here. Communication is key. Designers are passionate about what they do, so they tend to talk about it. A lot. They share work in progress, links to amazing things, and … a lot of hilarious animated GIFs. Here’s some things to keep in mind when setting up how your team will communicate. Build in focus: If you create great team culture, there may be “too much” communication happening. So create ways to help people focus. This can range from “library time”—periods of required silence—to “caves”—spaces where people can be alone and concentrate. Talk, don’t walk: Sometimes, there’s no replacement for face time. But a walk down the hall can be a real time sink. A team chat application, like Slack, can help people distinguish between what can be typed and what just can’t. Be open to feedback: People tend to bend the rules to their liking. So instead of being prescriptive, be open to feedback and adjustment. Work to build in a few ways to keep the team communicating, while also keeping them focused and productive. This one is simple but critical. Set up a place for the easy sharing of assets, pattern libraries, corporate styles, and project files. There are multiple options, but Dropbox for Teams is still my go-to. Once you’ve set this up, you’ll need some information architecture. 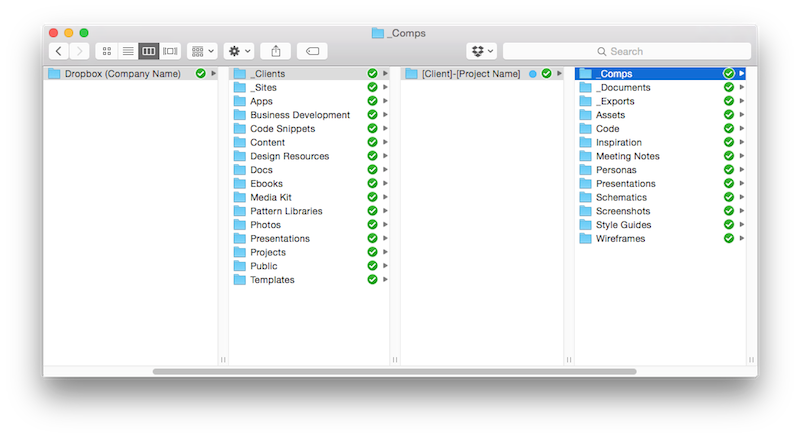 Find your most detail-focused, task-oriented designer—or your content strategist—and ask them to develop a filing system. It may seem annoying or a waste of time, but with proper organization, you’ll save hours. You have no idea how quickly an unorganized Dropbox can sprawl out of control. Well, maybe you do. At the end of the day, the most important thing is that you establish some level of process and guidelines for your team. Even if you’ve got a small team—eventually, you won’t be so small. In the absence of structure, people introduce their own rules. The best teams function freely within the rails of a carefully considered processes. If you have anything to add, or questions, I’d love to hear from you. This is a fascinating topic for me that I love talking with designers about.